Alexander Litvinenko, a former Russian security agent, died in 2006 after drinking tea laced with the radioactive element polonium-210 at a London hotel. A British inquiry found that his death was the work of the Russian security service. Mikhail Lesin, a former Russian press minister and adviser to President Vladimir Putin, was found dead in November 2015 in a Washington, D.C., hotel. The D.C. medical examiner concluded he died from blunt force trauma. Two weeks from now in Surrey, England, a coroner's inquest is scheduled for a most peculiar death. Here are the facts: In November 2012, a 44-year-old man died while out jogging near his Surrey home. The man was reported to have been in robust health, and police declared that the death was not suspicious. But here are a few more facts: The jogger was a Russian banker who had fled Russia after helping expose tax fraud that implicated both the Mafia and the Russian state. Traces of a rare, poisonous flowering plant were found in his stomach. This is one of several cases raising questions about why opponents of the Kremlin seem to be dying at an unusual rate. "Vladimir Putin's enemies have this uncanny habit of being killed," says Guardian correspondent Luke Harding. He says authorities couldn't find a cause of death in the case of the banker turned whistleblower, Alexander Perepilichny. "They decided that there was no foul play and it was just a kind of unexplained case that sometimes happens." But a botanist at the Royal Botanic Gardens in Kew, southwest London, was called in just last year to conduct more tests. What she found caused a sensation, says Harding: Gelsemium elegans, a lethal plant favored by Chinese and Russian assassins. "We're talking about suburban England and a [plant] that comes from the Himalayas being used. It's not growing in your or my back garden," he says. "And I think the calculation was that it would never be discovered — that this would just be simply an unexplained murder, and the whole thing would go away." The whole thing has not gone away. When the long-delayed inquest finally opens next month, the botanist, the Kew Gardens' deputy director of science, Monique Simmonds, is expected to appear as star witness. Perepilichny's case is one of the most recent, and most mysterious, in the long, dark history of people who cross the Kremlin, fall out of favor, then meet an untimely end. There's Leon Trotsky, one of the original Bolshevik leaders, who became an opponent of Soviet leader Josef Stalin and was murdered with an ice ax in 1940 while in exile in Mexico City. Georgi Markov, a Bulgarian dissident, was stabbed with a ricin-tipped umbrella as he crossed London's Waterloo Bridge back in 1978. Fast-forward to the era of Russian President Vladimir Putin, and the weapons grow stranger still, such as the radioactive tea served to ex-KGB officer and Kremlin critic Alexander Litvinenko. "The evidence establishes that Mr. Litvinenko ingested the fatal dose whilst drinking tea from a teapot contaminated with polonium-210, in the Pine Bar of the Millennium Hotel in the West End of London, on the afternoon of the first of November ," reads the statement from Judge Robert Owen, who ran the official British inquiry into Litvinenko's murder. That inquiry wrapped up in January — with the stunning conclusion that Putin himself "probably approved" the murder. So far, there's no hard evidence — at least none that's been made public — connecting Perepilichny's death to Moscow. The same goes for a third case worth mentioning: the death of former Russian press minister Mikhail Lesin. Lesin, 57, was a Kremlin insider, believed to be close to Putin — until the two men fell out. On Nov. 5, 2015, he was found dead in the Dupont Circle Hotel in downtown Washington, D.C. 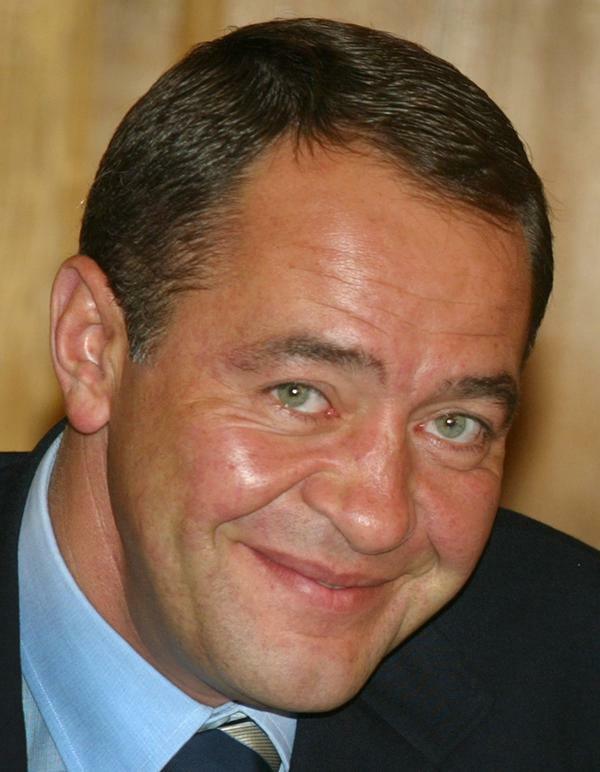 Initial reports in the Russian media suggested that Lesin died of a heart attack. But four months later, this past March, D.C.'s Office of the Chief Medical Examiner and the Metropolitan Police Department put out a joint statement. "Cause of Death: BLUNT FORCE INJURIES OF THE HEAD," it reads. "Other Contributing Causes: BLUNT FORCE INJURIES OF THE NECK, TORSO, UPPER EXTREMITIES AND LOWER EXTREMITIES." In other words, Lesin's entire body. Which raises the question: Who might have wanted him dead? Evelyn Farkas, who served until recently as the top Russia official at the Pentagon, says she's never seen proof that the Kremlin is ordering hits on people. Still, she says, "The fact that someone like Mikhail Lesin all of a sudden shows up dead in a Dupont Circle hotel, to me, is fishy. The message is to all the other people who are Putin cronies, who are oligarchs, that these kind of things could happen to you." Farkas says there's no question the Kremlin has helped create a climate where such tactics are possible, both inside Russia and out. This is a charge that Russia protests. In an interview with NPR, Vyacheslav Trubnikov, former director of the SVR — Russia's answer to the CIA, and a successor organization to the KGB — denied Kremlin links to any of the recent deaths. Asked whether assassinations are being used as a tool by Russian security services, Trubnikov's answer was firm. "No. I am absolutely sure," he said. "First of all, it goes against the law. Russian intelligence, counterintelligence cannot use such methods." Pressed whether such methods might be deployed under order from Putin himself, Trubnikov again replied, "No, it's impossible. It's a criminal act." Mark Kelton, a former CIA station chief in Moscow, has his doubts. "Yes, it is against the law and a criminal act. But who's going to hold those who are responsible to the law?" he asked. "The Russian [security] services have a long history of eliminating or trying to hunt down people who are seen as traitors." In his first extended interview since retiring after 34 years at the CIA, Kelton fielded questions about each of these cases — Litvinenko, Perepilichny, Lesin — and others, including opposition politicians and journalists who have died, as Kelton puts it, in "more than questionable" circumstances. Kelton concedes that in very few of them is there concrete evidence linking back to Moscow. But he argues that on a certain level, that's beside the point. "Whether people are dying, all of them, at the hands of the Russian state or not, the belief I think amongst the opposition is that they could be dying at the hands of the Russian state. And that conveys the message to others that they're potentially at risk. So the guy falling dead of a heart attack, maybe it's just a heart attack. Maybe it isn't." Kelton points to a line from Eric Ambler's 1939 espionage novel, A Coffin for Dimitrios. "The important thing to know about an assassination is not who fired the shot," it reads, "but who paid for the bullet." And here's a mystery for you - a 44-year-old man died while jogging in suburban England. Police pronounced it a heart attack, but the jogger was a Russian banker. He had fled Russia after helping expose tax fraud. And it turns out, there's more to it than just a heart attack. In his stomach were traces of a rare poisonous plant, so authorities decided they need to look into this. There will be a coroner's inquest into his death two weeks from now in England. NPR's Mary Louise Kelly has been curious about why opponents of the Kremlin seem to be dying at an unusual rate. MARY LOUISE KELLY, BYLINE: There is a long, dark history of people who cross the Kremlin, fall out of favor, then meet an untimely end. Trotsky - murdered with an ice ax in Mexico City. Georgi Markov - stabbed with a poison-tipped umbrella as he crossed London's Waterloo Bridge back in 1978. 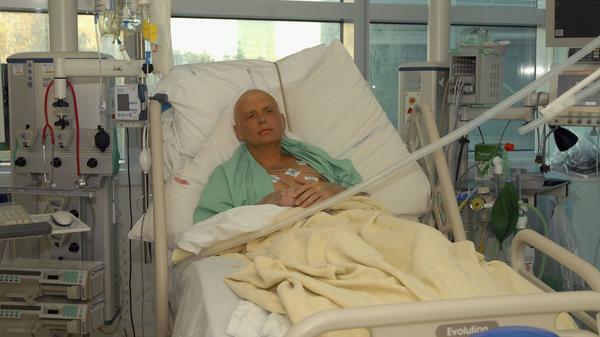 Fast forward to the Putin era, and the weapons grow stranger still, like the radioactive tea served to ex-KGB officer Alexander Litvinenko at a London hotel in 2006. ROBERT OWEN: Mr. Litvinenko ingested the fatal dose whilst drinking tea from a teapot contaminated with polonium-210. KELLY: That's Judge Robert Owen. He ran the official British inquiry into Litvinenko's murder, and he concluded that Russian President Vladimir Putin himself probably approved the murder, a finding that was no surprise to Guardian newspaper correspondent Luke Harding. LUKE HARDING: Vladimir Putin's enemies have this uncanny habit of being killed. KELLY: Harding grew so intrigued by this uncanny habit that he wrote a book about Litvinenko and other cases, including the one now making headlines in Britain - the death of Alexander Parapilichny, Russian banker turned whistleblower found crumpled on the road outside his home in Surrey, England. HARDING: The local police were called out. They couldn't find a cause of death. They decided that there was no foul play, and it was just a kind of unexplained case that sometimes happens. KELLY: Now that was all four years ago. But here's where the story gets weird. A botanist at the Royal Botanic Gardens was called in just last year to conduct more tests. What she found caused a sensation, says Luke Harding - traces of Gelsemium, a lethal fern favored by Chinese and Russian assassins. HARDING: We're talking about suburban England, and a fern that comes from the Himalayas being used. It's not growing in your or my back garden. And I think - and the calculation was that it would never be discovered, that this would just be simply an unexplained murder and the whole thing would go away. KELLY: The whole thing has not gone away. The long-delayed inquest opens next month with the botanist expected to appear as star witness. Now, there's no hard evidence connecting Perepilichny's death to Moscow; same with one more case worth mentioning, one that hits closer to home for Americans - Mikhail Lesin, 57 years old, Kremlin insider, close to Putin, until the two men fell out. Last fall, Lesin was found dead in a hotel here in Washington. In fact, this hotel. I'm looking up at eight stories of gray brick right on Dupont Circle in the middle of D.C. This is where Lesin was found the morning of November 5 last year, and the initial reports were that he had died of a heart attack. But then, this spring, back in March, the chief medical examiner and D.C. police put out a statement, which I've got right here. Let me read it. It says (reading) cause of death - blunt force injuries of the head. Other contributing causes - blunt force injuries of the neck, torso, upper extremities, lower extremities. EVELYN FARKAS: The fact that someone like Mikhail Lesin all of a sudden shows up dead in a Dupont Circle hotel to me is fishy. Are assassinations being used as a tool by Russian security services? VYACHESLAV TRUBNIKOV: No. I'm absolutely sure. First of all, it goes against the law. Russian intelligence, counterintelligence, to use such methods. I press Trubnikov. What if they were ordered to by Putin himself? TRUBNIKOV: No, it's impossible. It's a criminal act. MARK KELTON: Well, yes, it is against the law in a criminal act. But who's going to hold those who are responsible to the law? KELLY: That's Mark Kelton, former CIA station chief in Moscow. KELTON: The Russian services have a long history of eliminating or trying to hunt down people who are seen as traitors. KELLY: Kelton sat down with me for his first extended interview since retiring after 34 years at the CIA. Over coffee in his kitchen, we ticked through each of these cases - Litvinenko, Perepilichny, Lesin and others - from politicians to journalists who have died, as Kelton puts it, in more than questionable circumstances. Kelton concedes that in very few of them is there concrete evidence linking back to Moscow. But he argues, on a certain level, that's beside the point. KELTON: Whether people are dying, all of them, at the hands of the Russian state or not, the belief, I think, amongst the opposition is that they could be dying at the hands of the Russian state. So the guy falling dead of a attack, maybe it's just a heart attack. Maybe it isn't. KELLY: Mark Kelton points to a line from the 1939 espionage novel - "A Coffin For Dimitrios." The line goes like this (reading) the important thing to know about an assassination is not who fired the shot but who paid for the bullet. Mary Louise Kelly, NPR News. Transcript provided by NPR, Copyright NPR.